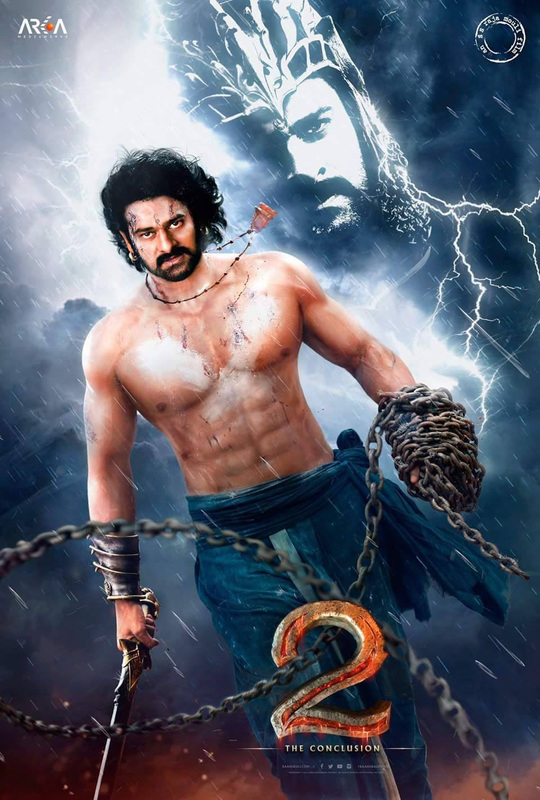 In a smart marketing ploy the producers of the Baahubali franchise are re-releasing part 1 of SS Rajamouli’s historical action-adventure on approximately 800 screens in India on April 7, three weeks before the worldwide premiere of part 2. The re-issue of Baahubali: The Beginning is sure to generate hefty returns as well as driving ticket sales for Baahubali: The Conclusion: Everyone who buys a ticket for the first movie is guaranteed to get a seat during the sequel’s opening weekend. Analysts believe many moviegoers will want to revisit the 2015 blockbuster which grossed 510 crore ($76.6 million) in India, second only in the all-time ranks behind Dangal’s 540 crore ($81.1 million). Starring Prabhas, Rana Daggubati, Anuskha Shetty, Tamannaah, Nasser, Ramya Krishna and Sathya Raj, the sequel will roll out on more than 750 screens in North America on April 27 and the following day on 6,500 screens in India and in more than 30 other markets. The producers, Arka Mediaworks’ Shobu Yarlagadda and Prasad Devineni, have already fully recouped the mammoth 250 crore ($37.5 million) production budget from the sale of theatrical and satellite rights. Yarlagadda told moviegoers can expect to see strong emotion, drama and action mounted on a huge canvas . He confirmed moviegoers will be charged a premium above regular ticket prices, which will vary from city to city and among exhibitors. Johar believes the sequel will have every chance of beating the all-time record in India of Dangal. The trailer has had more than 100 million views on Facebook and YouTube, portending a massive opening weekend in India and internationally.